We have already discussed in the past how stripes are one of the hottest trends this year in The Rise of Stripes and Gingham post. Of course, with the advent of spring and summer, I had to add a couple of pieces to my own collection. 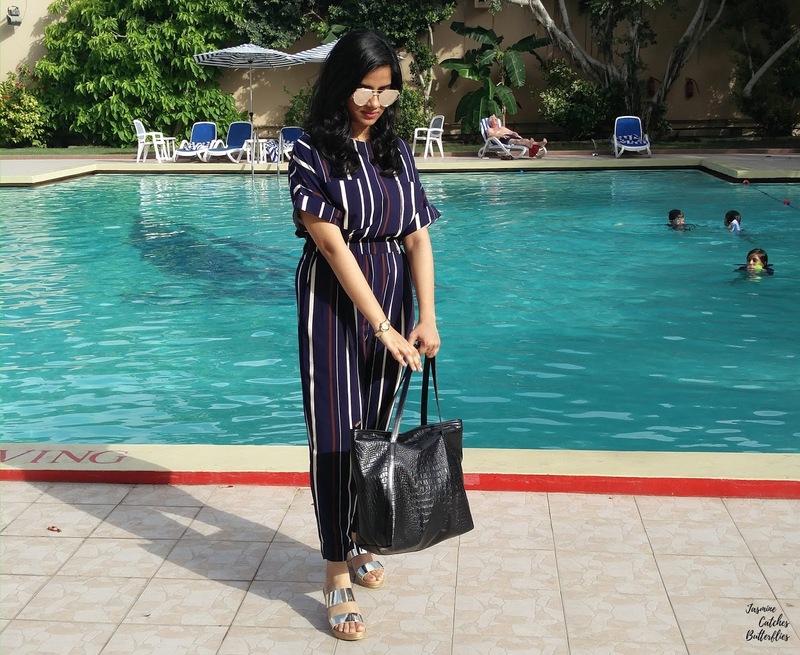 Over the past few months, surfing Zaful for the latest Western trends has become one of my favourite things to do so I felt extremely lucky when I came across this chic Striped Round Neck Short Sleeve Jumpsuit*. I really love the variety this website has to offer and most of the times you get awesome bargains. I remember hovering over this jumpsuit for a good few weeks and my only concern with jumpsuits has always been sizing. 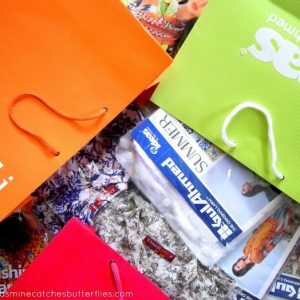 Usually, I easily fit into size Small of most brands but I prefer to wear loose clothes so I shop a size Medium frequently. 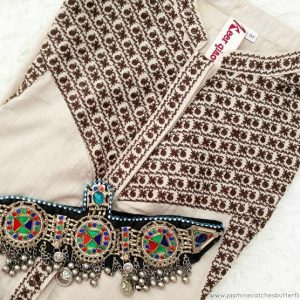 A couple of years back, I bought a jumpsuit from Ethnic by Outfitters in-store for fashion week. It was a last minute purchase and I really liked the colour and the contrasting embroidery so I ended up making it work. However, it was a size XS (extra small) and yet it is till date quite loose on me. So when I saw this jumpsuit I thoroughly checked the sizing chart on the website and ordered a Large! Yes, large because I relied on the mentioned measurements and did not want to take any risks. Zaful has a vast variety of clothing apparel and they all come with their own size chart so if you are small in one, you can be large in another. That is why it is important to check these charts each time you shop. Luckily, this jumpsuit fits me perfectly, and in fact, there could not have been a better fit. The downside is, this jumpsuit only comes in three sizes and would not cater to a lot of people. The material mentioned on the website is ‘cotton blends’ and I reckon it has some polyester too. The material might not be ideal for the scorching heat of Karachi at the moment but it is difficult to find half sleeve jumpsuits and I absolutely adore the look and functionality of it otherwise. I am absolutely grateful for pockets in jumpsuits and I believe these should be included in all of the women’s clothing too. 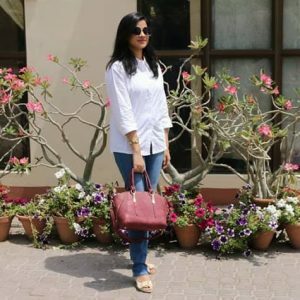 There is a belt included with this jumpsuit too but I chose to skip it when I styled it for my brunch post a relaxing session at the Avari Towers Olympia Gym and Spa. Some of you guys might have already seen my photos from that day on my Instagram and I know a lot of people really loved this look and were curious to know more about it. To keep the overall look casual I eased on accessorizing by skipping any chunky jewelry and only wore my mum’s gold watch. You can similarly wear a statement cuff or bracelet but the outfit does not really need much so I would not recommend wearing any necklace with it. Additionally, large gold hoops would have looked perfect too. Anyways, I made up for the lack of jewelry by wearing a pair of gold aviators and gold wedges that I recently got from WalkEaze. This jumpsuit currently retails for $34.99 on the website but watch out for discount deals as Zaful keeps having sales. You can read more about my previous experiences with Zaful here.